After a tough second week, the Royals women’s basketball team faced the tough challenge of bouncing back from a pair of hard losses. They faced the CBC Bearcats, and the dreaded Capilano Blues. The Bearcats were supposed to be the easier of the two games, but the Bearcats played well, and challenged the Royals. A tight first half saw the Royals escaping with only a seven-point lead. Needing to turn on the jets to brush past the Bearcats, the Royals found it was much more difficult to beat the CBC squad this year than it was last year. However, at the end of four quarters, the Royals managed to pull out a comfortable win, 62-49. Simran Bir had a great game for the Royals, scoring 15 from the bench. Rachel Beauchamp had 12 points, and Jessica Castillo had 11 on the night. Nanaya Miki almost picked up another double-double as she grabbed 10 rebounds but only scored nine. However, that was just a warm-up for the main event. The Capilano Blues and the Royals battled for gold last year, and this year was their first time meeting since that fateful day. As one would expect, the game saw fireworks fly from the very start. A 22-19 first quarter in favour of the Royals set the pace before a slow second showed both squads’ talents on and off the ball. At the end of two, the Royals led 32-28. Although the first half was tight, the third quarter was a blowout. The Royals stepped on the gas and never looked back, scoring 23 on the quarter while keeping the Blues to 12. All that was left was to play defence to see the game out. Try as they might, the Blues just couldn’t solve the Royals. 71-53 in favour of the Royals makes the game look easy, but it was anything but that. The Royals simply kept the Blues big scorers off the ball, and took losses where they needed to. On the other hand, the Royals scorers had a field day. Nanaya Miki picked up a double-double, scoring a team leading 14 and picking up 12 rebounds. Sarah Jorgenson and Rachel Beauchamp both had 10 points and seven rebounds. 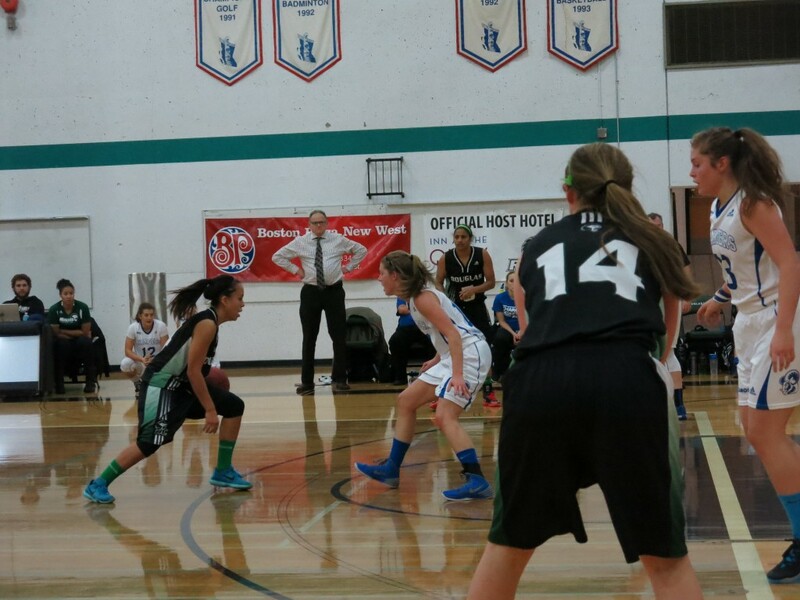 Sara Kurath dropped 11 points and played a huge shut down role for the Royals. The pair of wins is the highlight for the Royals as they head into the winter break. With the first third of the season over, the Royals are looking strong, but not as good as they looked last year. However, much like last year, expect them to come back from the break stronger than ever.